Author: Spencer, Wen Set In . . . 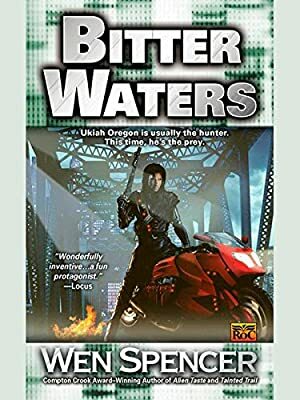 Description: Ukiah’s abilities are put to the test when police request his assistance in tracking a missing boy who has a habit of getting lost and being found in unusual places. The authorities fear that the kid’s latest disappearance may be linked to a series of kidnappings. Then suddenly, Ukiah finds himself under scrutiny by Homeland Defense. Agents found a member of the cult known as the Temple of New Reason with photographs of Ukiah. The government suspects that a connection exists between the sect and Ukiah, one even he can’t identify. But before Ukiah can investigate the cult’s interest in him, his own son is abducted. Now, with government agents watching his every move, he must track down the kidnappers—and pray that they’re not the alien Ontongard looking for revenge.